-Santa Cruz Les Paul Model Guitar. 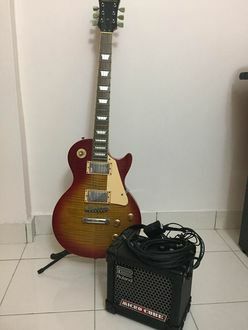 (Guitar condition still good, but strings need to change.) 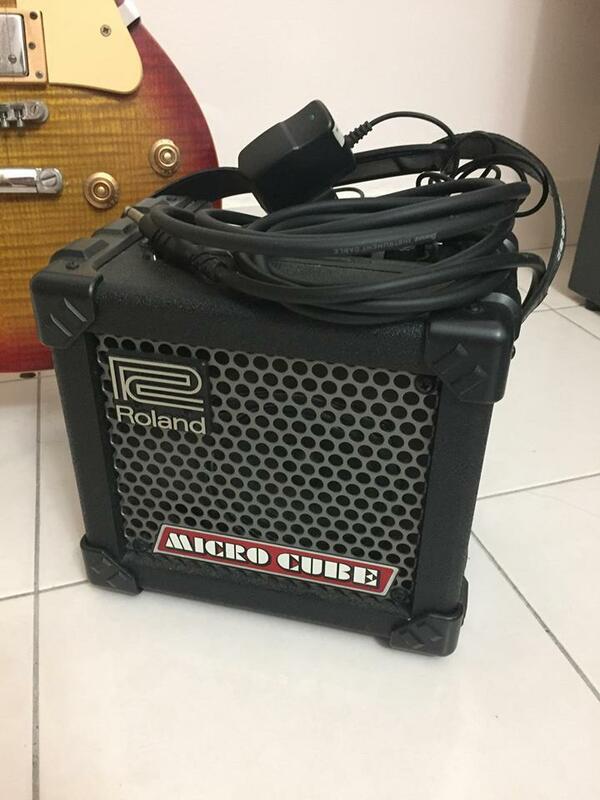 -Roland Mini Cube (Working perfectly fine.) -Guitar Bag.